Now that 2019 is here, it’s time to focus on how to stick to the new year’s resolutions you set in December. One trick that may help is using the SMART method, which ensures your goal is Specific, Measurable, Achievable, Relevant and Time-based. 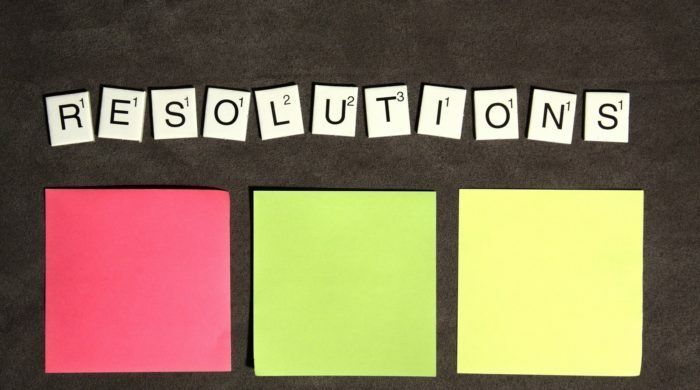 This way you can turn a resolution that may have been broad or general into something more specific and easier to accomplish. Or, simply make a Pros and Cons list detailing the positive aspects of reaching your goals and the negative consequences of abandoning them. Having a visual reminder of why you signed up for these resolutions will help you stay on track as you race toward your personal finish line. In this post, we’ll explore how the use of methods like these and other strategies can help you keep your new year’s resolutions. In Part 1 of this blog series, we traced the roots of New Year’s resolutions, emphasized the importance of goal-setting and offered additional resources for those who wanted a little extra help from medical professionals during the planning phase. By this stage, you’ve identified the issues to address, set realistic milestones, crafted a timeline, removed barriers, and built support. Now, it’s time to bring joy to your journey and make good on the promises you made to yourself. Whether your resolution was to eat healthier foods, focus on exercise or put an end to a bad health habit such as smoking, each goal comes with inherent challenges that must be overcome to succeed. The good news is that there are tried-and-true tips to ensure nothing stands in your way. Start Small. If your goal is to lose 50 lbs., begin by trying to lose 10 first. When you reach goals with a shorter runway, it will inspire you to press on and realize your larger aspirations. Make Yourself Accountable. If you’re the only person who knows about your resolutions, they’ll be much easier to ignore. Be sure to share your goals with those close to you. If you don’t mind going public, post them to social media as well. The fact that others will be cheering you on will help motivate you to continue. Ask for Support. Keeping new year’s resolutions isn’t an easy thing to do — and we can all benefit from a sense of community. If you know of others with similar goals, ask them to share their tips for success and offer yours to them. Having someone to talk to about the journey as you work toward your goals can further your perseverance. Find What Works Best. If writing down your goals helps you stay focused on them, buy a nice journal to keep up with it. If you meditate to remain centered during the process, find a special space to perform those meditations each day. The point is: utilize the methods and techniques for success that make sense to you and do them in a way that is pleasurable. Just because something worked for someone else doesn’t necessarily mean it will work for you and that’s okay. Find your personal path to success and follow it. Forgive Yourself. Like the old saying goes, “Don’t sweat the small stuff.” If you experience setbacks in your plan, don’t beat yourself up about it. Everyone encounters roadblocks as they try to maintain resolutions. Just because one day didn’t reflect a step in the right direction doesn’t mean that the next day won’t. Dust yourself off and resume your plan as soon as you can to minimize the impact of the hiccup and get back on track. Celebrate Wins. Don’t discount the victories that you do experience along the way. If you’ve made it to a specific milestone, let yourself bask in that glory. Do something to mark the occasion, whether you make an announcement to friends and family or reward yourself with something fun. When you let that feeling of accomplishment wash over you, you’ll want to repeat it and that will energize you to continue down that path of positivity … all the way to your final goal. If the goals you set for yourself aren’t coming together as fast as you’d like, or you simply need additional direction on how to achieve your new year’s resolutions, ask for help from a trained medical professional. Talk to a doctor in the Western Washington Medical Group Family Practice; seek advice from the Diabetes & Nutrition team or submit a question on this page to get more information.